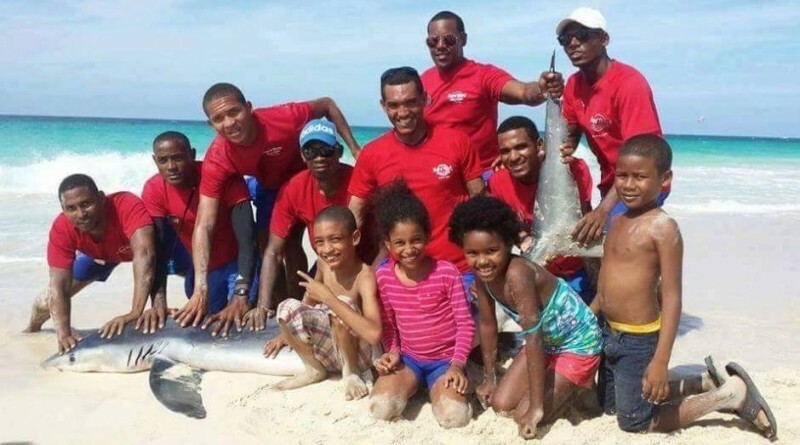 The little blue shark dies after the group of man pulls it out above the sea and take a groupie photo with it. A tourist was taking pictures and video at the beautiful beach of Punta Cana in the Dominican Republic, then suddenly witnessed a horrible scene. In the video, the group of men walking at the clear water sea shore notices the little blue shark swim near. They rushed to catch it and bring it to the shore. The men and the people who had -gathered near started to pose with the shark for photos. While other were smiling and happy the poor little thing slowly dying, after passed away. How long can a shark live without water? Depending on how they oxygenated their blood is. Some research said that there are a huge amount of shark species some can last a day and other minutes without water. According to zoology, Unlike land animals, they don not have lungs and so can not hold their breath. As for actual time frame, a few minutes is maybe longer .